Starting a new career or transitioning to a new role can be nerve-wracking, but chances are, you’ve got what it takes and just need a little guidance as you get started. Applying for a job is daunting no matter how much experience you have. Knowing someone at the company you’re interested in helps vouch for you as a person, but a strong resume and cover letter are part of the whole package that gets you a callback. Basic resume templates online cover the necessary elements and structure of resumes and cover letters, but what is lacking is specificity for community builders. Here, we’re going to get specific about what hiring managers look for in community management candidates and share some examples to help ease the anxiety of drafting your next resume and cover letter. To help us do that, we’ve spoken to several community professionals who have shared with us what stands out to them when hiring community managers. Your resume is a chance to highlight all your best strengths and showcase any relevant experience you’ve had to the role you’re interested in. 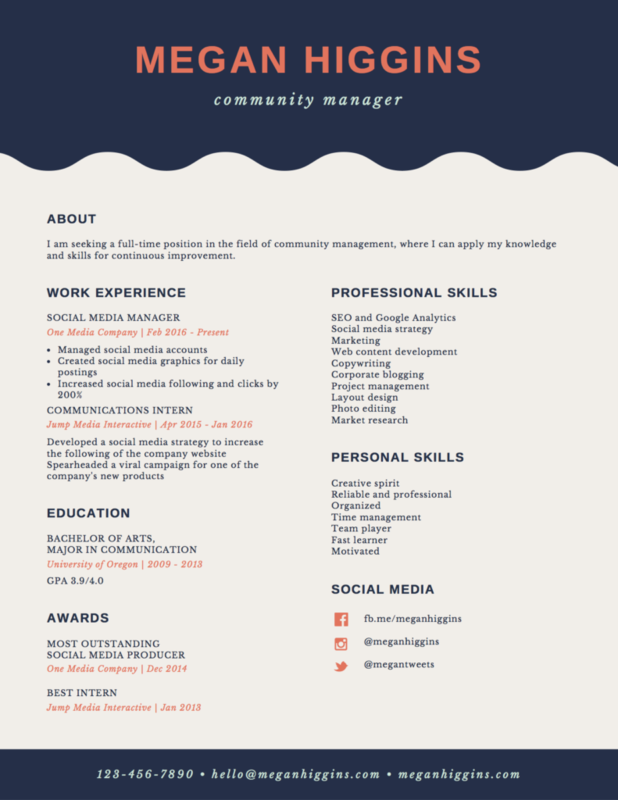 Let’s break down the most common sections you should include in a resume and make suggestions based on current hiring trends in the community management industry. 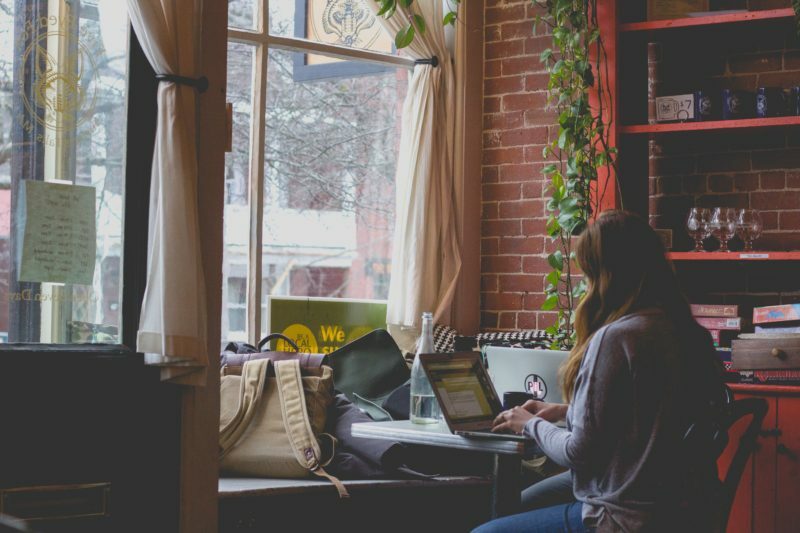 If you’ve never held a community management position before, this area may seem like the toughest part to get through. However, this industry wouldn’t be as robust and innovative if the people who move it forward didn’t come from diverse backgrounds and experiences. 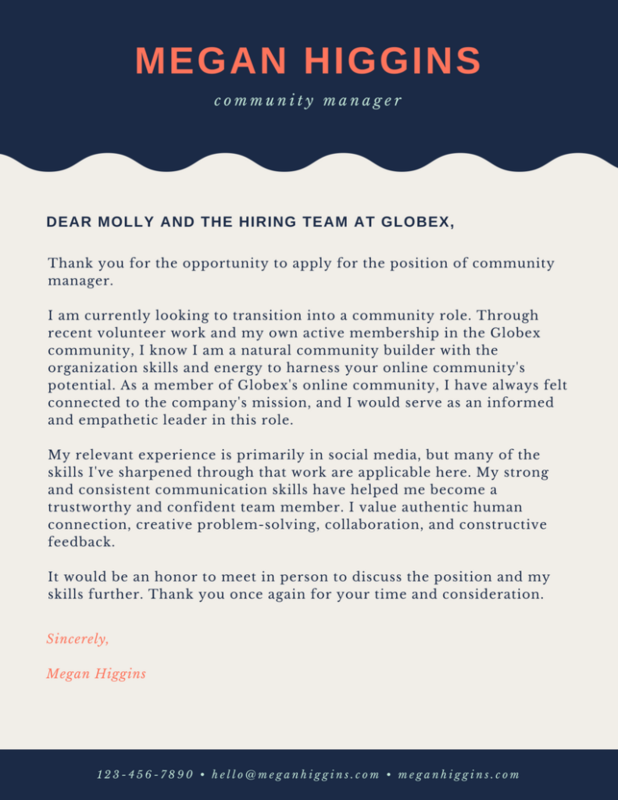 Relevant experience such as hospitality, advocacy, support, customer success, social engagement, tour guiding, branding, product or customer development, beta programs, grassroots, or local organizing would all be great to expand on and include in your resume. If you’re fresh out of school and don’t have much work experience, it’s time to get creative. If you’re interested in becoming a community manager, it’s likely you’re a natural community builder in other areas of your life: Have you started clubs? Organized volunteer programs? Initiated a dinner series? Brought people together to clean up beaches or recycle? Nothing is off the table here if you can make it about how you organized people to take action. Quantify this experience as much as possible: how many events did you run? How quickly did the idea grow? It should be assumed that having strong communication and interpersonal skills are vital for a community management position, so make sure you leave room on that resume for other skills that make you stand out from other applicants. Sarah Sigel, Head of Community at Quilt, considers relevant skills like “managing multiple stakeholders, matching with the company’s values, taking information and making it valuable to multiple types of people” to be important. Other skills worth noting would be content marketing, creating cross-channel campaigns and strategy, corporate branding, inclusion, Excel and spreadsheet skills, and team management. Community management isn’t one of those professions that has a clear educational path like law school for lawyers and medical school for doctors. That is why hiring managers believe education is a foundation, not a limitation. After having talked to dozens of community managers, it seems the educational backgrounds may actually be what makes this industry such a vibrant and exciting one to be in. Successful community managers have blossomed from degrees in the liberal arts, video game development, communications, sociology, psychology, journalism, marketing, business and new media. Now think about what you’re contributing to evolve it even further. Consider what you have to offer, and how it qualifies you for the role. It’s helpful to make yourself familiar with the particular needs the company has for their next community manager, and find ways to tie them back to your strengths. Here’s a very basic sample you can use. The more specific you can be in your resume about big and small wins, the better! The cover letter will often be the first point of contact between you and your future employer, and it’s important to make a strong first impression when writing it. This letter is a chance to show how well you communicate, reveal a glimpse of your personality, and explain how you admire the company’s mission and values. Keep in mind who you’re writing to, address them directly if possible, and offer your interest in meeting them personally. The content, format, and tone will vary according to the position and company. All right, now it’s your turn. Go out there, find a community management job worth applying for, and send them your skills showcased in your resume and cover letter!